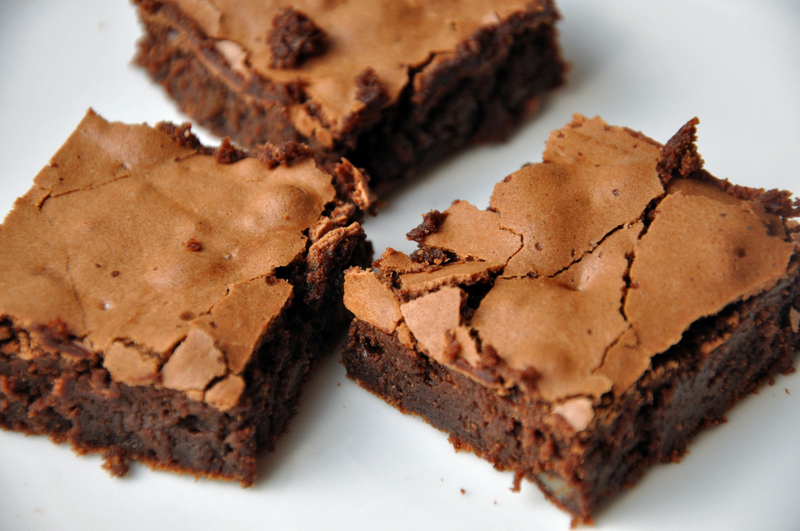 Brownies are the classic American dessert that have become popular throughout the world and can even be found on the menu of upscale European restaurants. This fudgy chocolate brownie recipe is our favorite. Beat the butter till smooth and creamy and then add in the eggs lightly beaten followed by the melted chocolate and then the other ingredients, mixing all with a spatula. Scrape batter into the floured pan and bake 22 minutes at 350F. Set aside to cool after baking for about 30 minutes. Top with chocolate ganache for frosting if you like. Dark Chocolate Brownie Ganache recipe: 10 oz dark chocolate melted with 4 oz heavy cream and .5 oz (14gr) honey. Whip mixture and spread over the top of the brownies.